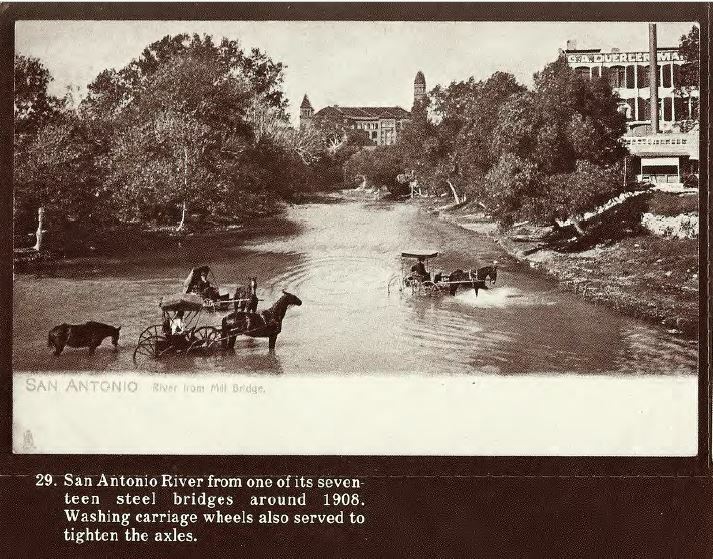 I have found many photos of postcards of the San Antonio River and its bridges and wanted to share them for your reference. 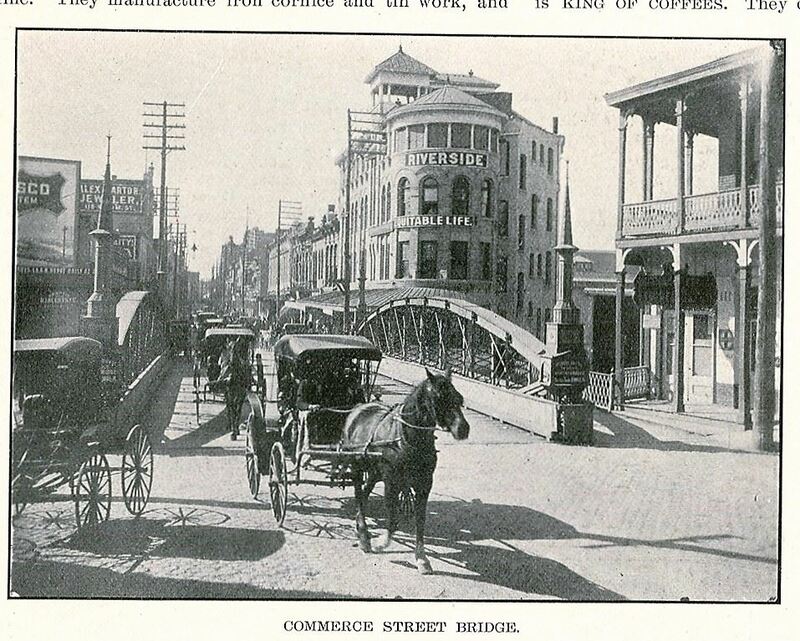 I love history and especially photos. 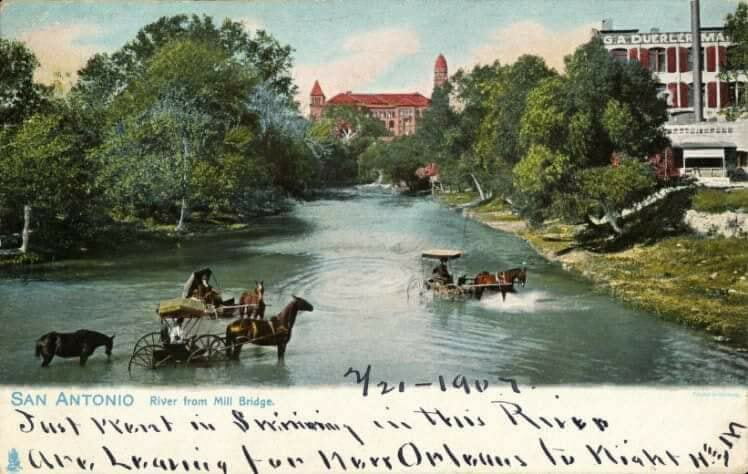 Wagons would drive into the river to soak their wheels to tighten them up. RPPC postcard from booklet in my collection from the Perry Estate sale. 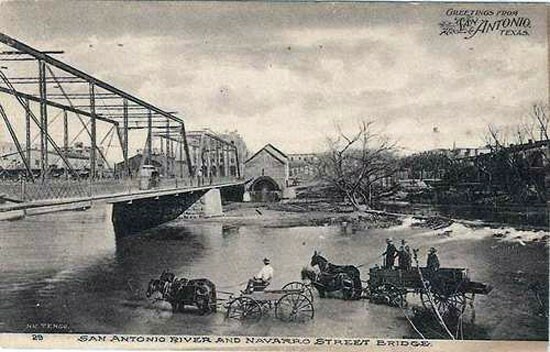 1880c Commerce Street bridge view looking west from Alamo Street the iron bridge was installed in 1880. 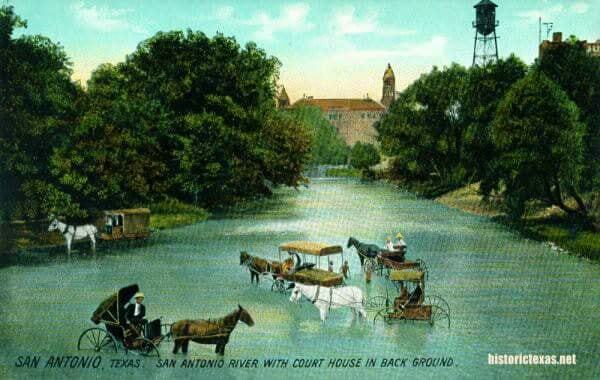 RPPC postcard of San Antonio River with court house in background. 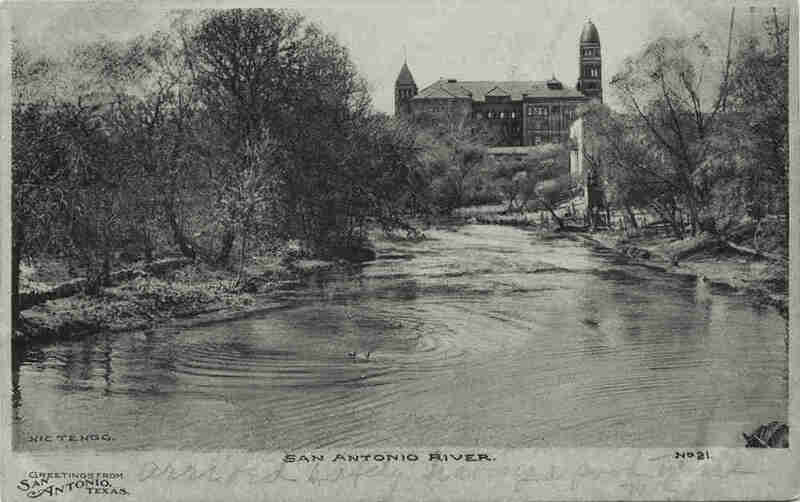 RPPC postcard of the San Antonio River by Nic Tengg. Copyright 2019 Copyright Â©WilkinsonRanch.com All Rights Reserved. Images may not be used without permission..